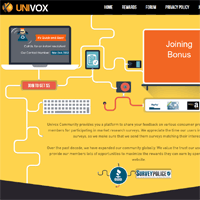 Univox is run by Market Cube, which is a market research company who has a strong global presence. Based in the USA, the Univox Community has over 3 million members across many different countries. Market Cube has been around since 2009 and has conducted over 6 million surveys on behalf of clients. Becoming part of Univox is very easy. Simply fill out the registration form and then check your email for an account confirmation link. 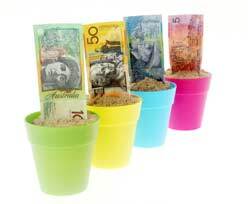 Once you do so and log into your account, you’ll see your $5 account balance credited. Ensure you check your email account regularly for online survey invitations, and complete the studies you’re interested in. The survey invitation emails will always state the topic of a survey, its length, and what the compensation is for completing it. Earn cash for every survey you successfully complete, and redeem your earnings when you have 2500 points ($25) in your account. As you take more surveys, your minimum cashout level can decrease all the way down to 1000 points ($10). Exchange your points for your choice of a PayPal cash payment, an Amazon e-voucher, or a prepaid Visa card. Earn additional bonus points by participating in fun contests held via Twitter and Facebook. as well, refer your friends and earn 100 points for each successful referral who completes their first survey. Climb the ranks of the ambassador program to redeem your payments sooner.